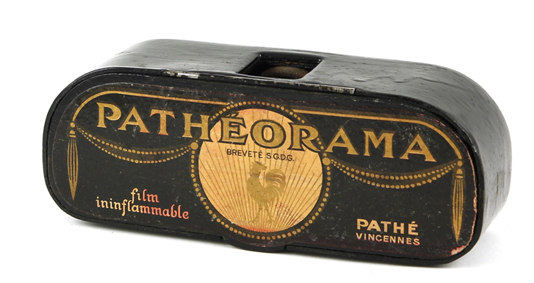 Pathéorama is at the same time a small viewer and an element of a magic lantern which makes it possible to see or project colour or sepia mono views, on film with perforations on only one side. 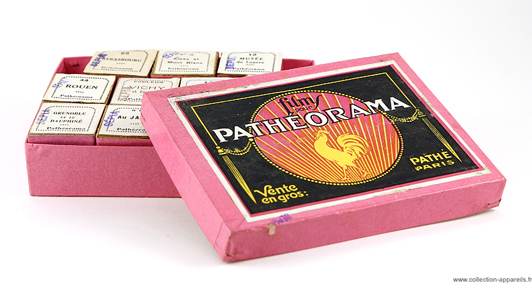 Pathéorama is small metal box of 13 cm x 4.6 x 3.5. One of large side opens, whereas on the other hand a serrated roller is. On one of small side, there is a magnifying eyepiece. On the other hand, a window closed by a ground glass is. By raising the top, it appears that the box is divided into three compartments. 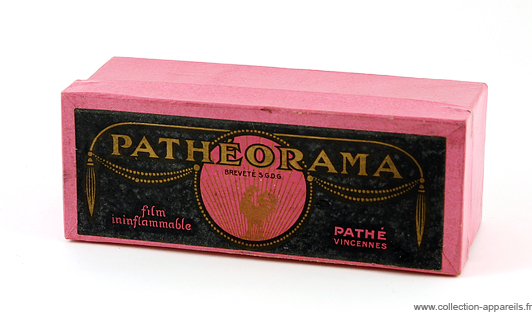 Both located at the ends make it possible to store films, but also to put in each one of the ends of the film in the course in progress of visualization. In the central compartment, there is a pressing roller with rubber circumference. While making turn the external serrated roller, one makes the roller (in a direction or the other, it does not matter). The film, pressed by the roller is drived. Like this one has a natural curve, it is rolled up in one of the two compartments of end, according to the direction given to the serrated roller. 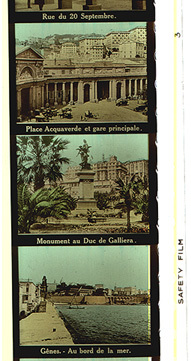 The film is perforated of only one side. 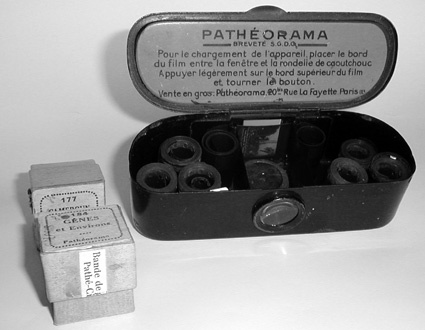 By putting the film in front of the small window, the perforations must be found at the bottom of the box. 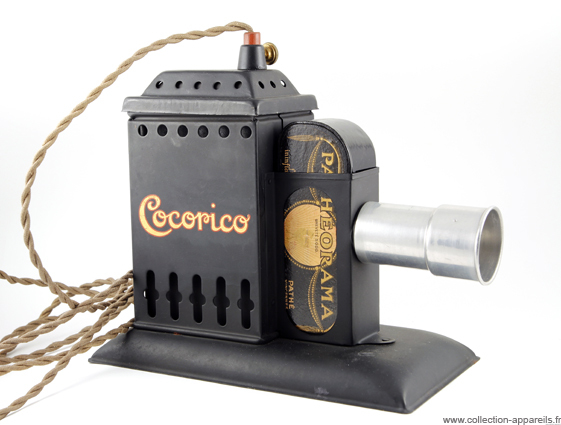 The second function of this box is to fit in the Cocorico projector. 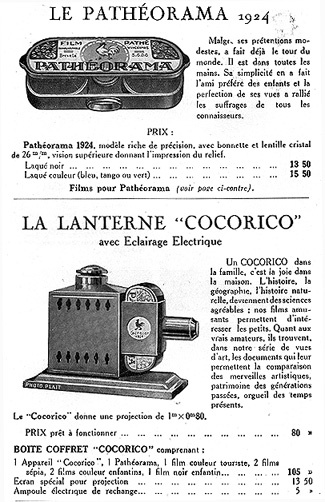 The luminous ray passes then through the Pathéorama. It is possible to obtain an projected image of 1 m x 0.80 m.
Another model of viewer. It is out of bakelite, much more elaborate than the preceding one. It is undoubtedly also more recent.